Many people assume that local pharmacies are declining because they can’t compete. In fact, research by Consumer Reports and others has found that independent pharmacies are highly competitive: compared to chains, they offer better service and cheaper prescriptions, and surveys show many customers prefer them. Why then, are local pharmacies shuttering across the country? One major reason is that companies called PBMs are quietly running them out of business. PBMs, or Pharmacy Benefits Managers, are powerful corporations that oversee drug benefits for health plans. They negotiate with drug manufacturers to determine the price that health plans pay for a prescription, and reimburse pharmacies on behalf of the plan. PBMs claim to save health plans money through efficient claims processing and negotiating fair drug prices. In reality, they often use their size and position to steer more business to themselves, while cutting reimbursement rates for independent pharmacies, or excluding these local businesses altogether from an insurer’s network of covered providers. Due to their sheer size and position at the middle of several intersecting streams in the healthcare industry, PBMs operate at a structural advantage over retail pharmacies. To compete with CVS Caremark, Walgreens recently acquired nearly 2,000 Rite Aid stores. “It’s the same story we’ve seen in so many industries, companies justifying their marriage on the basis of another company in the market with lots of power. It’s an arms race,” said Stacy Mitchell of ILSR in a recent article on this subject. [iv] Unlike big chains, independent pharmacies can’t simply increase their size and power through mega-mergers, and are more vulnerable when PBMs engage in anticompetitive behavior. PBMs use several tactics to undermine competition and monopolize the prescription market. In some cases, they impose mandatory mail-order clauses on health plans and their customers, compelling people to obtain certain prescriptions through the mail rather than from a local pharmacy. PBMs commonly offer independent pharmacies take-it-or-leave it contracts that force them to either accept reimbursement rates that leave them losing money on some prescriptions or be left out of an insurer’s network altogether. Another tactic involves overcharging health plans while short-changing local pharmacies. “Spread pricing” can be a legitimate way for a PBM to fund its operating costs, but a lack of transparency often allows PBMs to inflate the spread and pocket the difference. PBMs get away with this, in part, by making their lists secret. When health plans and independent pharmacies sign on to a PBM contract, they are often forbidden from seeing the PBM’s list of maximum allowable costs (MAC). This leaves both parties in the dark about how payments from the insurer are being split. PBMs are also able to audit pharmacies for “waste, fraud and abuse.” In theory, this role helps eliminate unnecessary and fraudulent spending, and helps ensure pharmacies are upholding high standards for record-keeping and serving their customers. However, PBMs have a record of pushing community pharmacies out of their networks for small administrative errors. This tactic allows PBMs to steer customers toward their mail-order services. [v] Additionally, PBMs are sometimes paid by the number of “discrepancies” they find, incentivizing them to unfairly charge pharmacies. These laws allow plan sponsors and pharmacists to see what the PBM is charging, and allow them to be alerted promptly when a PBM changes a price for a generic. They’re on the books in 38 states. One example is Kentucky. These laws give the state board of pharmacy or state department of insurance authority to oversee PBMs, giving pharmacies and plan sponsors recourse if a PBM is abusing its power. Washington State has a law that does this. These laws create a framework for how a PBM must audit a pharmacy. 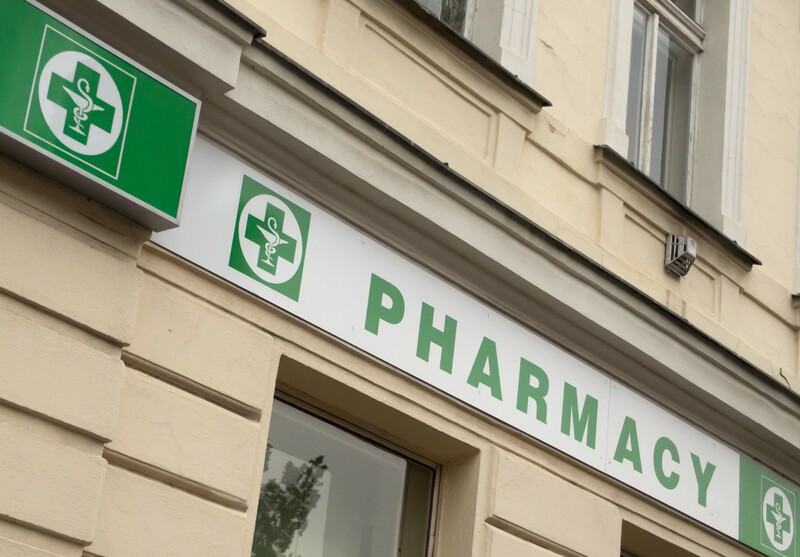 They establish what constitutes a “substantive error” on a pharmacy’s part, and create an appeals process if a pharmacy believes it was unfairly audited. These laws are on the books in 38 states,[ix] including Ohio. Alaska’s House and Senate unanimously passed legislation that combines all three of these approaches. You can read it here. If fully enforced, these state-level policies can help prevent PBM abuse. However, a more fundamental solution would involve restructuring PBMs. The Federal Trade Commission has the authority to break up PBMs, separating them from their retail pharmacies and ending their incentive to self-deal. Until then, communities are likely to continue to lose independent pharmacies. Each time a local pharmacy closes, hundreds or thousands of people lose an important source of healthcare, and the community loses an economic asset. States have the authority to go further, too. One shining example of a state policy that mandates local control is North Dakota’s law requiring that all pharmacies be owned by licensed pharmacists. Thanks to this law – which is unique among U.S. states, but similar to laws on the books in many other countries — today there are virtually no chain pharmacies in North Dakota. To find out more about the state’s forward thinking approach, and how well it serves residents, read our 2014 report and other reporting on the law here. Zach Freed is a Research Associate with the Community-Scaled Economy Initiative at the Institute for Local Self-Reliance, where he researches and writes about antitrust and corporate power. Previously, he was a policy staffer for Rep. Keith Ellison.